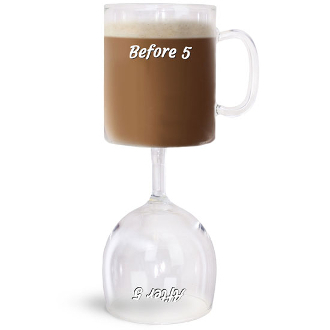 The Before and After 5 Wine/Coffee Glass is a great gag gift for anyone who needs some “special sauce” to change their outlook. It is a fully functional stemware and glass mug combo that’s easy to clean, too. And if you put wine in both sides, we won’t tell.